In the olden days, when machines were brought in to replace human workers, the workers revolted—the Luddites famously rose up to smash the automated looms that had been deployed by factory owners and were erasing their livelihoods. 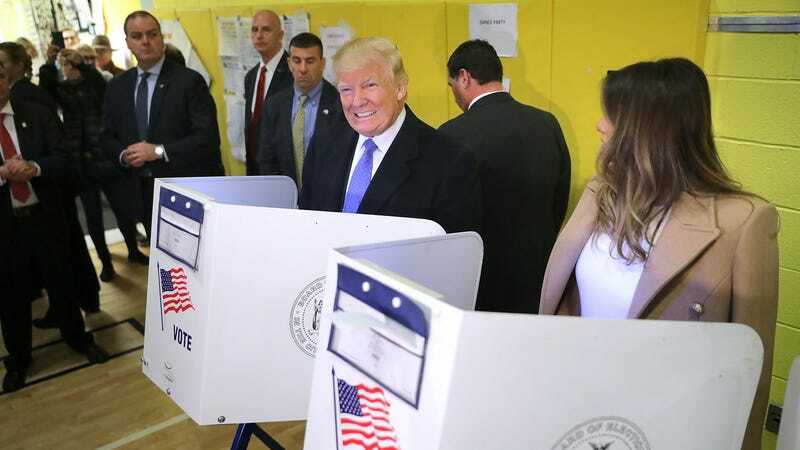 In modern times, when machines are brought in to replace human workers, the workers vote Trump. With a Democratic candidate offering little in the way of amelioration to those whose jobs had been automated away, it makes a certain amount of malign sense that voters would turn to Trump to vent their rage. These arguments have been made before, though automation has not been placed as centrally to the phenomenon as it should be. Especially because automation is continuing apace—thanks, somewhat ironically, to Trump’s own signature corporate tax cuts, which enabled businesses to purchase more efficient, labor-and-cost-saving machines—and because it’s continuing to hit Republican districts and Trump country the hardest. Mere months before that paper debuted, the New York Times’ Thomas Edsall proclaimed that “Robots Can’t Vote, But They Helped Elect Trump.” The column referenced a National Bureau of Economic Research study that showed that “commuting zones” home to more industrial robots were the same ones most likely to vote GOP. And it’s one that we should be paying attention to. The economy may have stabilized since the fallout of the 2008 financial crash and recession, but it has stabilized in a more precarious form, with gig and part-time work running rampant, and secure, higher-paying union manufacturing jobs giving way to contract jobs and non-union warehouse and service work. In 2014, one in three laid-off workers said automation was to blame, and that kind of distress is viral. To many, the specter of automation looms larger than ever. Already, we’re seeing Democratic presidential candidates devoting more of their attention to economic anxiety and even automation specifically—one, Andrew Yang, has essentially built his entire campaign around addressing the issue. Both Senators Bernie Sanders and Elizabeth Warren have made securing protections for middle-class workers central planks of their campaigns, in a bid to give the automation exposed an alternative to angry teeth-kicking. Trump, for his part, barely seems aware that automation even exists.